They are growing up. 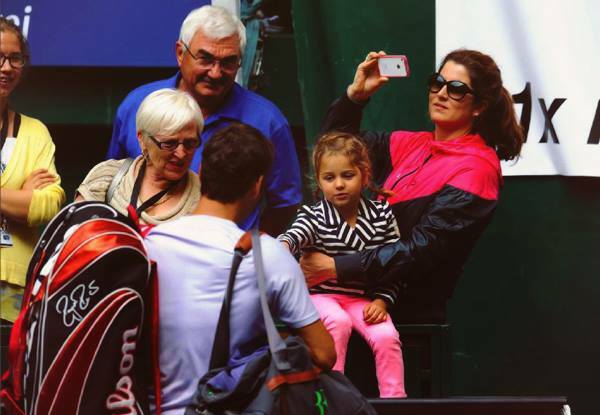 Nearly four years old now, Myla Rose and Charlene Riva are affectionate with the fans and adored by all. The Federer twins were sitting with family and the team today, watching their dad Roger win his 77th career title on Father’s Day. 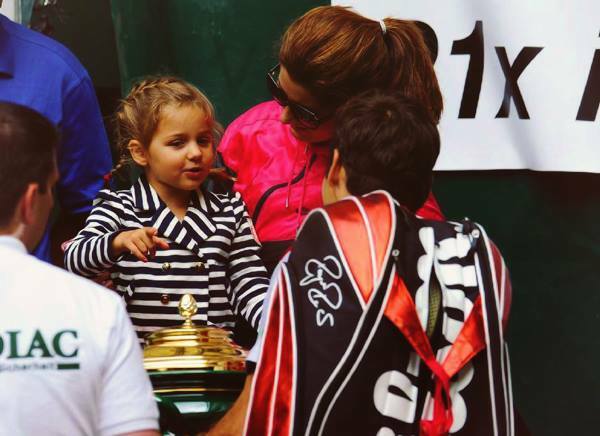 After the trophy ceremony, the Swiss maestro embraced his wife Mirka, twin daughters and his parents. Federer will rest and prepare this week ahead of Wimbledon. Draw information will be posted on Friday. Main draw play begins Monday, June 24. Read the editorial, Critical Time for Roger Federer. See Roger Federer’s Wimbledon 2013 Nike outfit here.